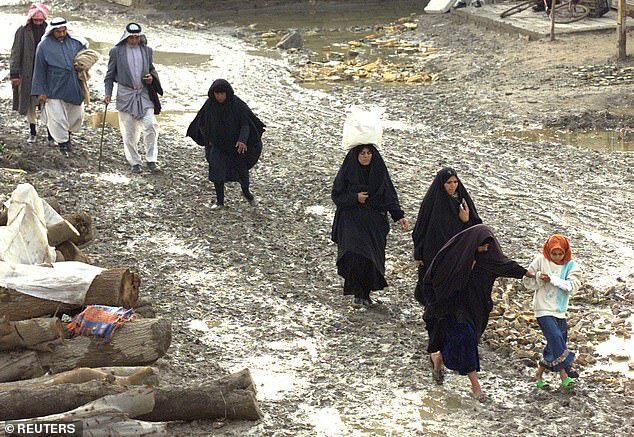 Dr Albatat’s family fled Saddam Hussein’s murderous regime in Iraq and crossed into Iran with little more than the clothes on their backs. 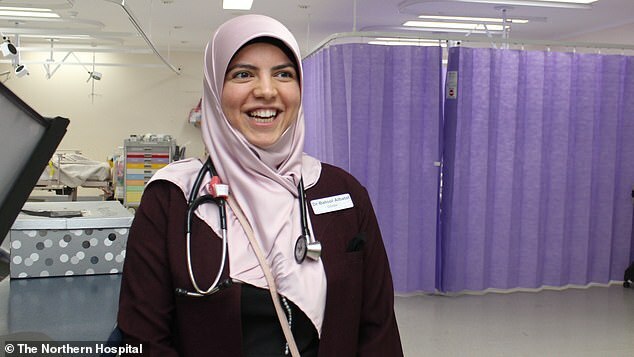 ‘They just had to pack up and go, they just wanted to save their lives and their kids,’ she told Daily Mail Australia of her parents’ desperation. ‘We grew up wealthy, so it was a shock running away and being suddenly poor, crammed into a tiny house with my cousins, uncles, and grandparents,’ she said. 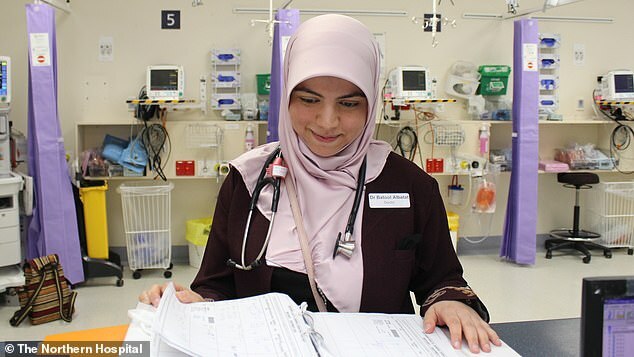 A few of their extended family made it to Australia as refugees and Dr Albatat’s father decided to follow them to give his family a chance at survival. 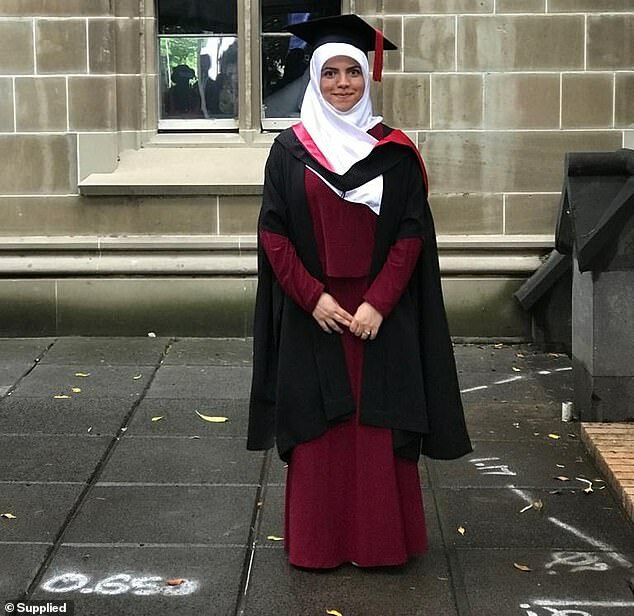 At the last minute, Dr Albatat’s grandfather decided she was too young at age 12 to stay behind and scraped together the cash to fund her trip. ‘That decision changed my life dramatically,’ Dr Albatat, the fifth of seven siblings, said. ‘Every day for three months were were told we would get on the boat tomorrow, only to be told we couldn’t,’ Dr Albatat said. ‘We ran out of money and for weeks lived on only rice. Sometimes we added sugar to make it easier to eat. Then for the last few days we had nothing to eat. ‘The boat shouldn’t even have been travelling, it was old and cracked,’ Dr Albatat said. ‘The local people took turns guarding everyone else through the night so the animals didn’t kill them,’ Dr Albatat said. 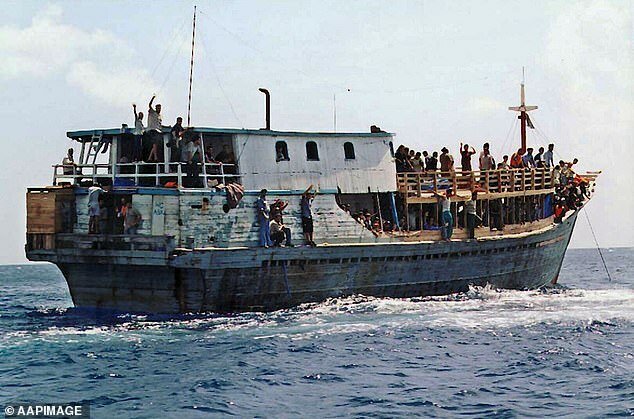 ‘After we left Indonesia, none of our family knew if we were dead or alive and when they heard a boat sank they started organising funerals for us,’ Dr Albatat said. ‘Our lives were depending on two kids who barely knew what they were doing. We had no idea where we were or if we were going the right way – all we could see was water around us,’ Dr Albatat said. ‘By the second day the boys were lost and we were almost out of water, we could only drink a cap-full every few hours. ‘Everyone felt like they were going to die and were preparing for the end. Some people got desperate and lit fires on the boat at night hoping someone would see them. Dr Albatat remembers the camp as harrowing, ‘like a prison’, surrounded by hopeless asylum seekers, including children, awaiting their fate. ‘Many people we met on Christmas Island were there for years and had no idea when they would be allowed to leave,’ she said. ‘I only had my cousin to talk to. But when I learned enough English I was able to make friends and sit with everyone else,’ she said. ‘We didn’t all have the internet so we could only communicate with them using expensive calling cards,’ Dr Albatat said. 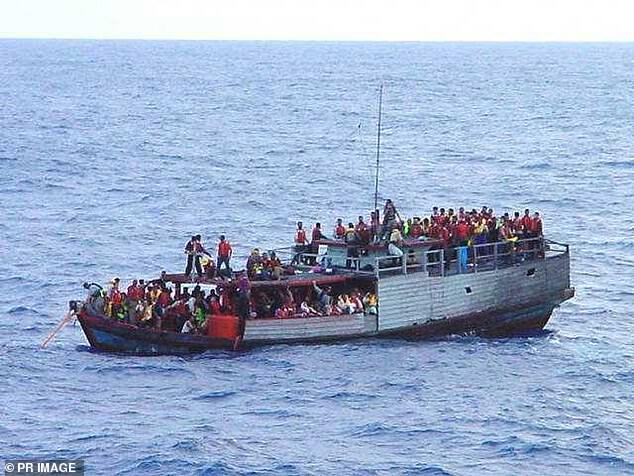 ‘It was an amazing relief to see them safe in Australia after seven years. My mother struggle for so long and she was overjoyed to have the family together again,’ she said. During her studies she worked as a data entry typist at St Vincent’s Hospital’s pathology department. ‘I love working here, everyone has been very supportive and kind to me,’ she said. ‘Australia is the only place I call home, I don’t think of Iraq as home. I have more (European) Australian friends than Arabic ones and everyone has welcomed me everywhere I’ve gone,’ she said. ‘I’m so grateful to have been welcomed into Australia. I wouldn’t be where I am today without the opportunities it gave me.